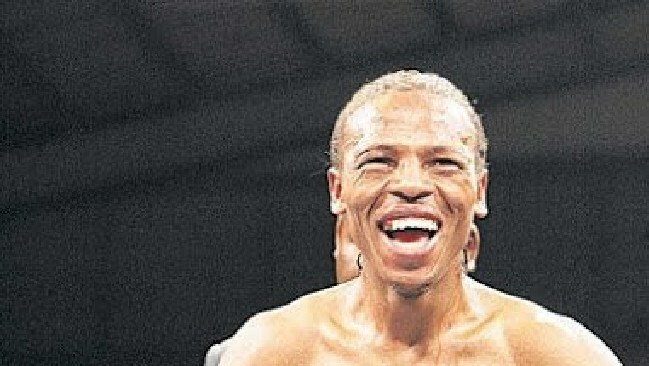 A FORMER boxing champion has been brutally stoned to death in South Africa for allegedly robbing two women. Manelisi Mbilase, a 40-year-old former South African featherweight title holder, was allegedly part of a three-strong group that was chased down by locals after the attack in East London in the Eastern Cape of his homeland, The Sun reports. Mbilase, who is claimed to have threatened the females with a knife, was then brutally beaten with rocks and fists. South African news outlets report the attackers were "shouting and singing" as they "took turns to beat him up before loading him in a wheelbarrow" and "leaving him by the government building" in an example to other potential thieves. An alleged witness told Anzimag he was woken at 6am by two women screaming, and said: "There were three tsotsis (South African slang for troublemakers or criminals). Two were already far away but Mbilase was running into nearby bushes to hide a bag." The ex-fighter was said to have been caught as he was changing his clothes in the bushes. The witness added: "That was when the beating started. People were so angry they wanted him dead on the spot. "What angered residents most is that these tsotsis left their own area to come here and rob people." Mbilase, who once unsuccessfully challenged ex-world champion Malcolm Klaasen for his country's featherweight crown, finally won the strap in 2008. He retired from boxing in 2009 with a 11-4-1 record and allegedly became involved with drugs. Vumile Mgunundu, Mbilase's brother‚ admitted his sibling had gone down the wrong path since his retirement. "I think he succumbed to the life of drugs," he told timeslive.co.za. "All he wanted was to get a fix and he would do anything to get it." Mbilase's funeral is due to take place on August 11.